Original Cannoli – This isn’t your grandma’s cannoli….Bam’s Cannoli is key lime filling rolled in a layer of your favorite Fruity Cereal, and topped off with a dollop of homemade Whipped Cream. All three tasty ingredients are perfectly balanced to make a sweet Cereal dessert you’d never expect. Birthday Cannoli – A delicious cannoli e-juice encasing Vanilla Frosting while generously rolled over colorful Sprinkles and topped with Whipped Cream! Captain Cannoli – One Cereal covered Cannoli just isn’t enough. We thought we’d give you one more of your favorite childhood Cereals rolled around a Vanilla Cream filling, and once again topped off with a homemade Whipped Cream! With all of these ingredients coming together, Cereal has never tasted so good! Strawberry Cannoli – Well…We’ve decided that sometimes the classics are truly the best. 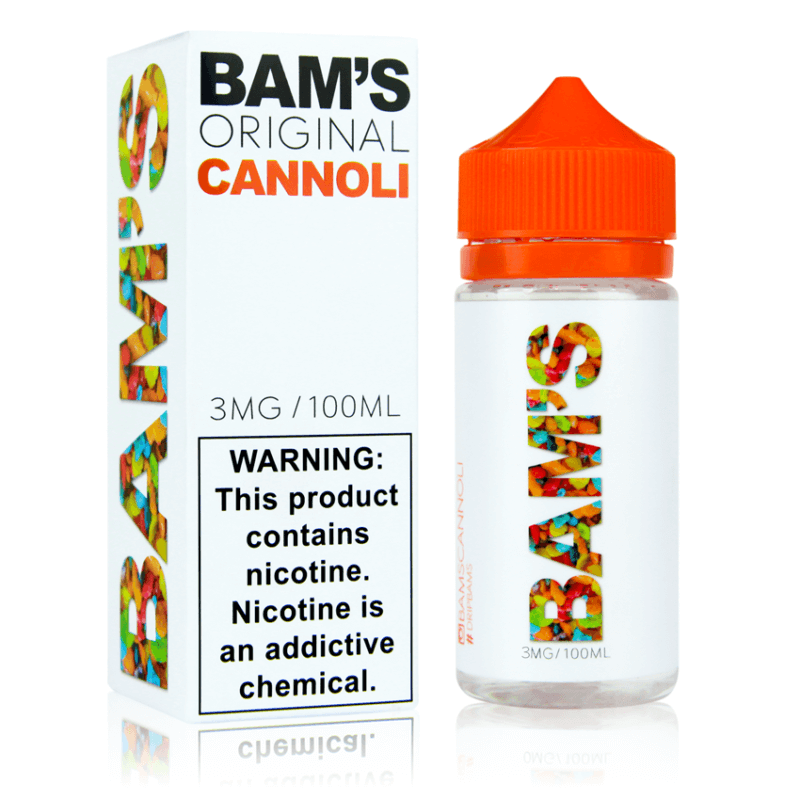 Bam’s Strawberry Cannoli is a perfectly browned classic Cannoli shell, filled with a sweet and creamy fresh Strawberry filling. All that goodness dusted with Powdered Sugar to bring it all home.